The company started in wedding videography, but transitioned very quickly into doing television commercials and online video ads for mostly small- and medium-sized businesses. On January 1, 2018, Cody decided to start a daily vlog. He shot a video that first day, and on January 2, he uploaded it to YouTube with the title Vlog 001. He continued to upload vlog episodes 7 days a week throughout 2018. Cody started the vlog because he felt like he was going to make something big happen for the business in 2018, and he wanted to document that process. During his first episodes, he talked about business, motivation, entrepreneurship, having a startup, and what it’s like to work with a team and employees. Every day, he would pick a new topic and discuss how that topic was playing into his life, and then tie it into business and entrepreneurship. On days when there was nothing much to focus on, he would document the process of making coffee or scrambled eggs and then go on a walk and share the thoughts in his head. He was simply committed to creating content daily, no matter what, regardless of whether his YouTube channel grew or if it brought in more business. After a pretty crazy 2018, Cody sat down with his business partners and they all agreed that it would be best to go in different directions. So on November 1, 2018, his partners bought him out of the business. To understand the #nosmallcreator movement, Cody says, you have to understand where it comes from. The term “small creator” is often thrown around YouTube in reference to channels that don’t have a substantial audience. If someone has a channel with 20, 100, or even 1,000 subscribers, they can be labeled a small creator. In spring of 2018, Cody was trying to get a big brand to give his company a bunch of skateboards and he was relying on smaller channels (small creators) to help him reach the bigger brand to make it happen. Having to use the term “small creator” sent Cody down a rabbit trail of thought that led to a video and the creation of the #nosmallcreator hashtag. After the video aired, a lot of people got behind the hashtag across Instagram and Twitter, and that’s where the movement started to grow. Then Cody made the #nosmallcreator Facebook group and asked anyone who believed in the mindset to join the movement and use the group to talk about their growth and struggles. No Small Creator is based on the idea that even a small number of viewers is important. When you have 20 views on a video, it’s akin to speaking to 20 people in a room. You can make a difference to 100 people, and on YouTube, you don’t know who those people are. You don’t know what actions they’re taking as a result of what you’re saying in the video. There’s a lot of impact to be made with every one of those views. Cody’s channel has been up since 2006 when he was in college. The channel had 111 inactive subscribers when he began uploading daily vlogs to the channel in 2018. Today, he has over 45K subscribers. Listen to the show to hear more about the size of various YouTube channels. Why Is Telling Stories on Video So Powerful? Video, Cody says, is unlike the written word, photos, or audio because it’s so incredibly emotional. Video can make your viewer feel something those other media on their own can’t match because it’s a combination of all of those things. 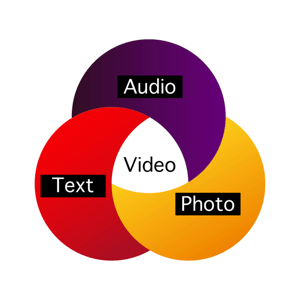 You can literally put text and audio and photos into a video. It’s a trifecta. Great commercials, great narratives, and different sorts of video documentaries make people feel a certain way. And the result of feeling something is often movement or action. I share that I used to think my podcast audience was fanatical because they spend as much as 45 minutes listening to an episode, and they send emails and messages to tell me how I changed something for them. Then I started doing 7-minute episodes of The Journey and the impact level went through the roof. I believe that if you can document your business or some aspect of your life, you can develop very loyal fans who become some of your most valuable marketing assets. They’ll tell others about you, evangelize for you, and buy your products. Cody agrees and says the power of video still blows his mind. By way of example, he shares that he’s going to offer a new shirt that says “doer.” His audience is already saying they’ll buy it. Listen to the show to hear more about Cody moving his audience to action. First, start every video with some sort of hook within the first 15 seconds—something enticing or interesting, or a description of what the video is about. At the same time, provide enough mystery that people want to see the video through to its end. On his vlog, for instance, Cody’s not sure what the day holds when he wakes up each morning. He might know where he’s headed but not what will happen between Point A and Point B. He has to convey that to his audience in a way that makes them excited to come along with him on the journey. Moving past the hook, the classical components of story apply: the main actor, a challenge to overcome, and a resolution. Cody confirms this isn’t easy, and shares that it took him 75 to 100 videos before he had a good feel for translating his life into one of those stories every single day. Cody says that the more you do daily videos, though, the more you begin to love it when things go wrong, get weird, or don’t meet your expectations. You start to realize it will make a good story. The beautiful thing about the vlog style is that there’s so much leeway in it and so much grace because people know you’re going to use your life to tell a story. Cody believes you really can make a story out of anything. It’s important to realize that the stuff we think is mundane and routine, other people may find incredibly interesting. That day, Cody made an entire vlog based on what it would be like to begin documenting your life at age 3, and the type of documentary you could make about your life by the time you were age 75. In another example, Cody’s video “Let’s Talk About My Day Job” showed him sitting in a sales meeting with a client, checking stuff off of a list, and highlighting stuff on a piece of paper. The video received approximately 1,000 more views than all of the videos around it. Everything can either be pitched as completely mundane and stupid, or as the best thing in the world. You, as a storyteller, have to make the decision to present it as the best thing in the world. If you believe you can make a story out of something, give it a shot. If it flops, it flops, and you can make another video tomorrow. When you decide to bring in a new character, Cody says you need to make sure that you’re able to capture their emotional responses to whatever’s happening throughout the day. If the character isn’t willing to process the challenge and conflict on-camera, the story will fall flat. The conflict in your story can come from anywhere. It can be external conflict such as a computer crashing, or internal conflict such as a close friend moving away or self-doubt. In one episode of The Journey, conflict was introduced when I was sideswiped on my way to a meeting. How do you give a story conflict when you don’t have crazy things happening? Cody’s answer is that anything you have a question about, anything you see as a problem, or anything you want to complain about or praise is a video idea. There’s an actor, a conflict, and a resolution within that arc. While Cody is fine using unresolved conflict as a cliffhanger to keep viewers coming back to watch the narrative of his life, he doesn’t want to leave people feeling angry or abandoned. So when he’s documenting business deals, which don’t typically conclude in a day or even a week, he provides a resolution by telling his viewers, “This is where we’re at with the deal and this is where we’re ending the episode. I’ll see you tomorrow.” That type of resolution is a huge loyalty-builder, and it provides an open loop for the next episode. I liken this approach to TV shows that have an ongoing story that isn’t all wrapped up in a single episode. They often start to resolve one thing half to two-thirds of the way through the episode, and start something new to keep you hanging for the next episode. It’s a technique everyone can use. 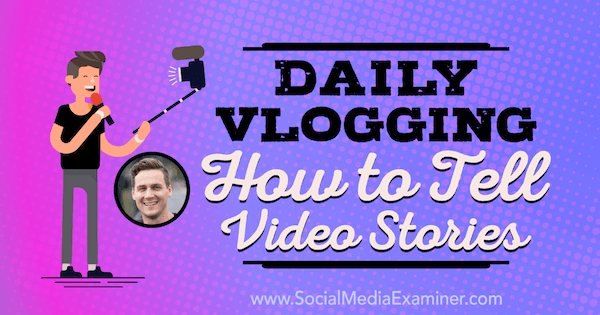 If you know you have a story you’ll be talking about tomorrow because you filmed a week in advance, you can begin part of that story in the previous day’s episode and not have it fully resolved until the next episode. Cody adds that if you’ve filmed that far ahead, you can put in a teaser for the next day’s video or next week’s video at the end of this week’s video to just get people excited to come back to your channel. Listen to the show to hear more ideas for creating stories from everyday events. When I ask Cody what he has to say to people who are afraid to show conflict, he says that everyone is searching for authenticity from the brands and people they look up to, and those they’re thinking about working with. We want to know people are real. You can build a very real connection with your potential loyal fans, customers, or clients if you show them what’s truly going down in your life or in your business. Where you can go deep, where you can be vulnerable, you need to be vulnerable because that’s what we’re all looking for. I ask if Cody believes a line should be drawn to protect the innocent and he agrees 100%. He says you should always protect the privacy of other characters and ask permission to include them. At this point, I reveal that I have a personal philosophy about this. I’m always filming and whenever anything happens that could, in any way, cast anyone I work with or around in a bad light, I always let them screen the footage first and ask if I can use it. When you’ve produced this sort of content for a long time, you can become desensitized to what people think about you online. You know that hateful comments, dislikes, and so on are part of the game. But when you bring other people who don’t have your experience into that, they might be much more sensitive to that stuff. You have to explain it and you have to protect them. Listen to the show to hear why I protect the people I work with and around when I’m filming The Journey. Scrola is a motion screen-grab tool that captures a scrolling screenshot of websites. 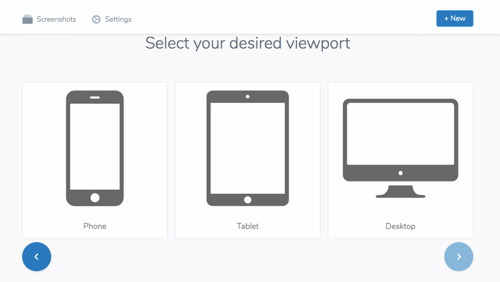 You paste a URL into Scrola, then select the device view you want (phone, tablet, desktop), and choose whether you want a slow-, medium- or fast-paced scroll. Scrola then processes everything and emails you a video file you can embed on your site or send to anyone. Scrola has a free version, and a paid version that gives you unlimited monthly use and removes the watermark. Listen to the show to learn more and let us know how Scrola works for you. Subscribe to Cody Wanner’s YouTube channel. Visit the #nosmallcreator website, and join the #nosmallcreator Facebook group. Find Cody on Facebook, Twitter, and Instagram. Capture website scrolls with Scrola. What do you think? Will you use these tips to improve your own stories? Please share your comments below.